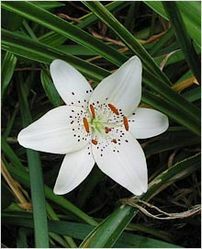 Habitat : Native of indian subcontinent, mainly present in himachal pradesh, jammu and kashmir, punjab and uttar pradesh. Uses : The bulbs are sweet, bitter, refrigerant, galactagogue, expectorant, , diuretic, antipyretic and tonic. It mainly shows soothing, astringent and anti-inflammatory properties. They are useful in agalactia, cough, bronchitis, vitiated conditions of pitta, seminal weakness, strangury, burning sensation, hyperdipsia, intennittent fevers, haematemesis, rheumatalgia and general debility.